ASTM A 193 / ASME SA 193 SS Round Washer, Stainless Steel 321 Machined Washers, SS 321H Punched Washer, Stainless Steel 321 Flat Washers, SS 321/321H Fender Washer Supplier & Exporter in India. Asiad Steels is one of the known manufacturers and distributors of Stainless Steel 321 Washers and Stainless Steel 321H Washers, which is stringently tested on varied predefined parameters for dispatching a defect free range. 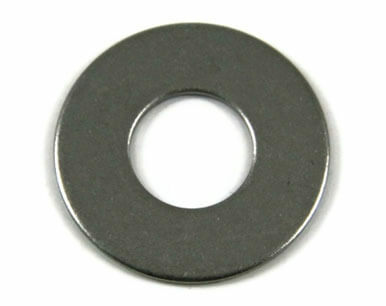 Buy SS 321 Washers and SS 321H Washers at cost-effective price from us. 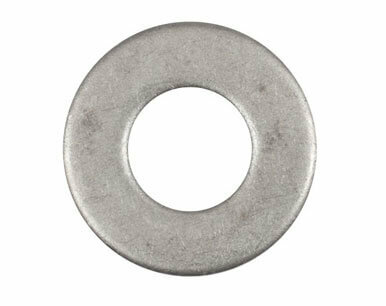 Alloy 321 Washers (Din 1.4541 Washers) Stainless Steel 321 Flat Washers is heat resistant, titanium stabilized, austenitic alloy that's commonly used for service in the 1000 -1600 Degree F temperature range. This titanium addition reduces or prevents carbide precipitation during welding, where it also improves the elevated temperature properties of SS 321 Punched Washers. Meanwhile, these Stainless Steel 321 Machined Washers is also advantageous for high temperature service because of its good mechanical properties. Stainless Steel UNS S32100 Round Washers is often used in heating element tubing, heat exchangers, woven or welded screens for high temperature mineral processing, and spiral Welded tube for burner pipes and flues. Alloy 321H Washers (Din 1.4878 Washers) Stainless Steel 321H Square Washers is similar to SS 304, but with higher nickel content and stabilized with titanium. 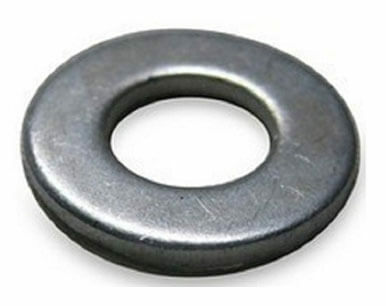 SS 321H Spring Washers has excellent resistance oxidation to 1500 Degree F (816 Degree C), and also good low temperature toughness. Stainless Steel 321H Lock Washers has high carbon content for better high temperature creep properties. Stainless Steel UNS S32109 Spherical Washers is often used in Weld equipment, Chemical processing equipment, and so on. SS UNS S32100 / S32109 Spherical Washers, Stainless Steel DIN 1.4541 / 1.4878 Lock Washers, 321 SS Spring Washer, Stainless Steel 321H Square Washer, SS 321 Washer Manufacturer & Stockist in Mumbai, India. We are Exporter of SS 321 Washer in Worldwide Such as India, Croatia, Portugal, Poland, Israel, Indonesia, Qatar, Norway, Peru, Japan, Bahrain, Kenya, Sweden, Namibia, Jordan, Macau, Nigeria, Austria, Russia, Belarus, Mexico, Ghana, Turkey, Lithuania, Belgium, Yemen, Nigeria, Germany, Puerto Rico, Nepal, South Africa, China, Pakistan, Greece, Colombia, Hungary, Singapore, South Korea, Chile, Serbia, Lebanon, Iran, Australia, Venezuela, Czech Republic, Mexico, Brazil, Argentina, Denmark, Vietnam, Malaysia, United Kingdom, Morocco, Iran, Romania, Estonia, Saudi Arabia, Gabon, Bulgaria, Bhutan, Canada, United Arab Emirates, Bangladesh, Azerbaijan, Taiwan, Angola, Bolivia, Philippines, Iraq, Ecuador, Thailand, Italy, Netherlands, New Zealand, Hong Kong, Ireland, Algeria, Mongolia, United States, Kazakhstan, Switzerland, Ukraine, Libya, France, Poland, Egypt, Chile, Zimbabwe, Tibet, Kuwait, Oman, Finland, Costa Rica, Trinidad & Tobago,Tunisia, Spain, Slovakia, India, Afghanistan, Sri Lanka, Gambia. We are Suppliers of Stainless Steel 321H Washers in India Such as Mumbai, Port-of-Spain, Montreal, Noida, Navi Mumbai, Los Angeles, Vung Tau, Secunderabad, Atyrau, Geoje-si, Singapore, Ho Chi Minh City, Madrid, Bangkok, Indore, La Victoria, Tehran, Melbourne, Colombo, Howrah, Coimbatore, Brisbane, Bogota, Muscat, Baroda, Kolkata, Caracas, Kuwait City, Pimpri-Chinchwad, Rajkot, Dammam, Sharjah, Jamshedpur, Aberdeen, Ankara, Algiers, Toronto, Houston, Surat, Courbevoie, Granada, Riyadh, Hyderabad, Busan, Haryana, Nashik, Chiyoda, Sydney, Lahore, Ranchi, Hanoi, Doha, Jakarta, Perth, Chandigarh, Edmonton, Bengaluru, Thane, New York, Cairo, Vadodara, Al Jubail, Hong Kong, Bhopal, Moscow, Ulsan, Petaling Jaya, Ahmedabad, Dubai, Ernakulam, Milan, Visakhapatnam, London, New Delhi, Kanpur, Seoul, Calgary, Jaipur, Istanbul, Ahvaz, Thiruvananthapuram, Lagos, Gurgaon, Gimhae-si, Mumbai, Abu Dhabi, Ludhiana, Nagpur, Kuala Lumpur, Santiago, Pune, Rio de Janeiro, Karachi, Manama, Al Khobar, Dallas, Jeddah, Chennai, Faridabad, Mexico City.